Occasionally I get a request for projects that are a little outside the “norm”. This could be a design feature, a specific challenge related to the project or really any number of other factors that make some projects more unique than others. From time to time I will showcase those projects in a series called Project Spotlight. Hope you enjoy! 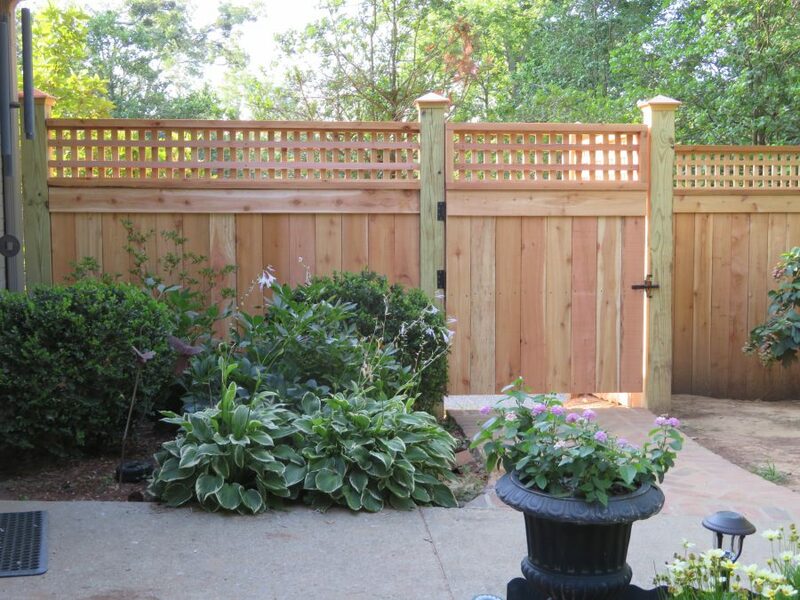 Browse the pages here and you will see a variety of styles of wood privacy fence. Some of my most enjoyable projects have been those that are not standard design. These projects have challenged me and left me with a sense of pride upon completion. Today’s Spotlight Project is so far my favorite. So much so I’ve given it a name; The Craftsman. I was first exposed to Craftsman style architecture from a book I happened to find at bookstore in Nashville, TN. It was actually on a discount rack outside the store as some friends and I were walking in. I flipped through the book before going in to browse others, but kept thinking about. I flipped through it again on the way out and ended up purchasing it. I was drawn to something in those images of Craftsman style homes. 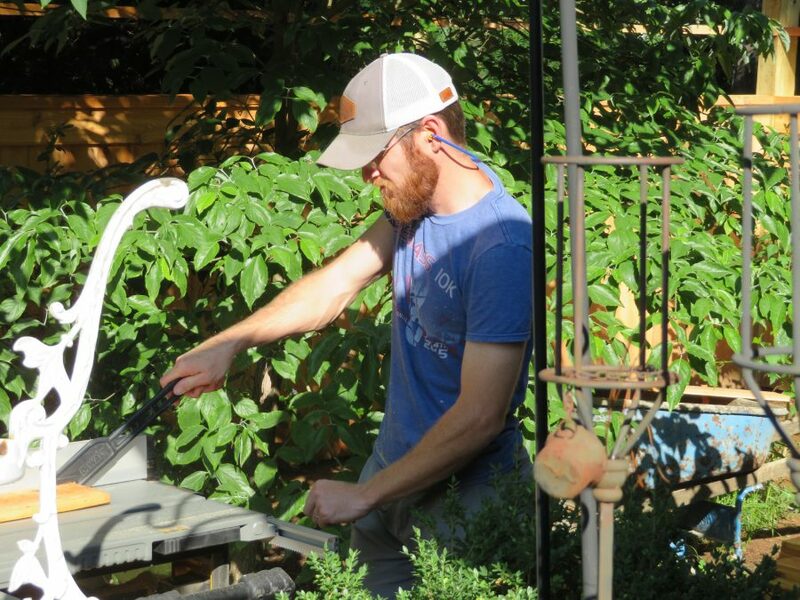 Not long after this I found my way to Craftsman style furniture. This style of furniture instantly resonated with me and continues to be a focus of my woodworking efforts. The style, simplicity,and focus on quality of workmanship is what piqued my interest and continues to sustain it. I like to think this fence shares some of those traits. The 6×6 posts offer a strong foundation for the fence itself, but also project a sense of security as a backdrop for the intimate landscaping of this outdoor space. 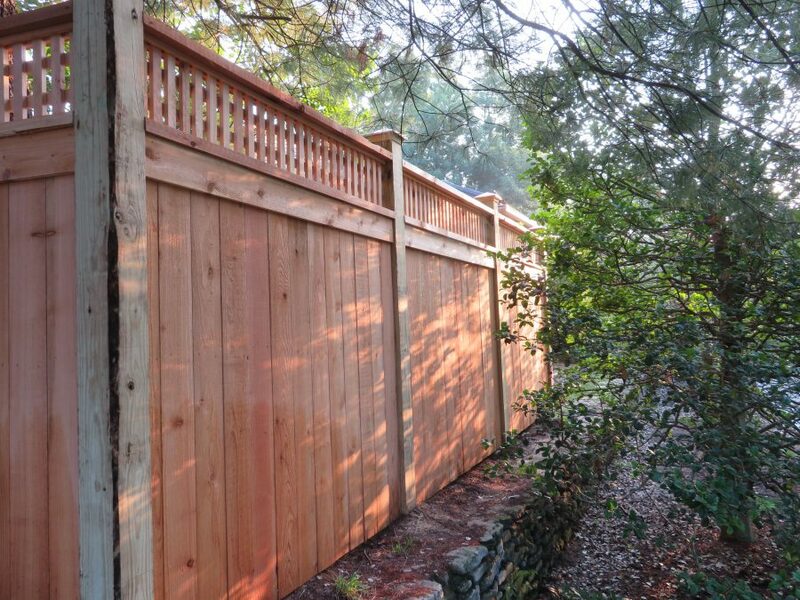 The fence portion is identical on both sides; none of the frame work is seen from either side. 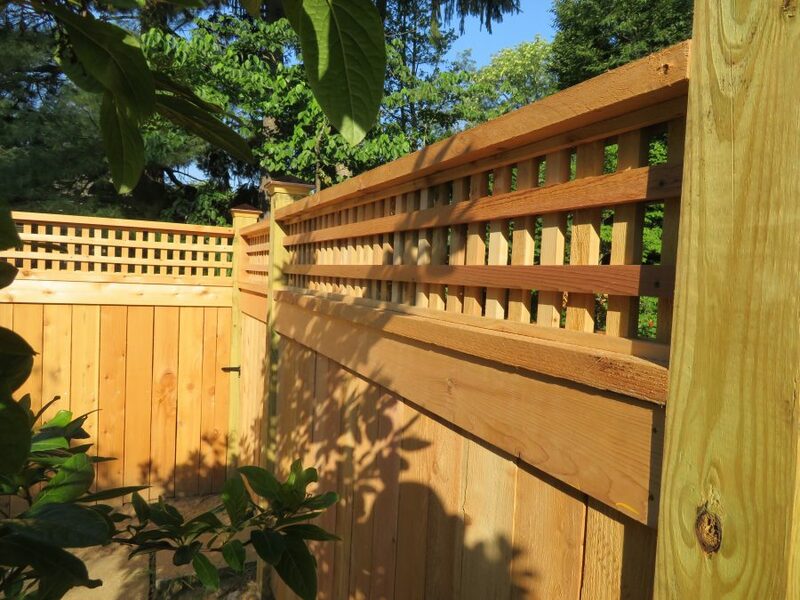 The lattice is hand built from western red cedar. All the strips where cut on a table saw and then cut to length using a miter saw. Each piece was then drilled with a pilot hole with counter sink to reduce likelihood of splitting before screws where inserted. Overbuilt? Perhaps. Strong? You wouldn’t believe how strong! Good friend and owner of The Fence Medic in Lexington cutting lattice strips. The first time I built a project like this my dad was giving me a hand. He ended up changing some of the design I had originally intended, but it was certainly for the better. I’ve mentioned his influence before on my thoughts on quality. I generally accept his insights willingly. Who am I to argue with his 30 years of experience? 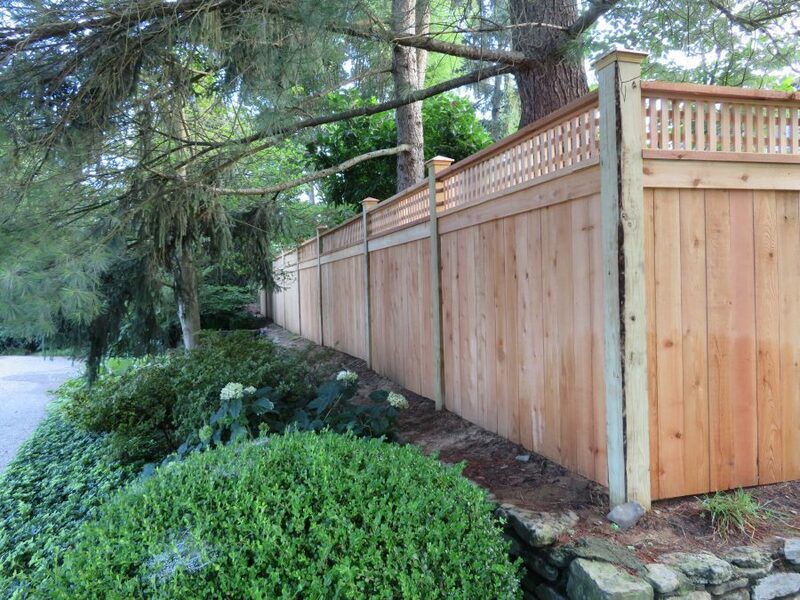 Have questions about The Craftsman or other privacy fence styles? Give me a call. Who is The Fence Guy of Louisville? You have the yard. I have the experience. Let’s build your fence together.